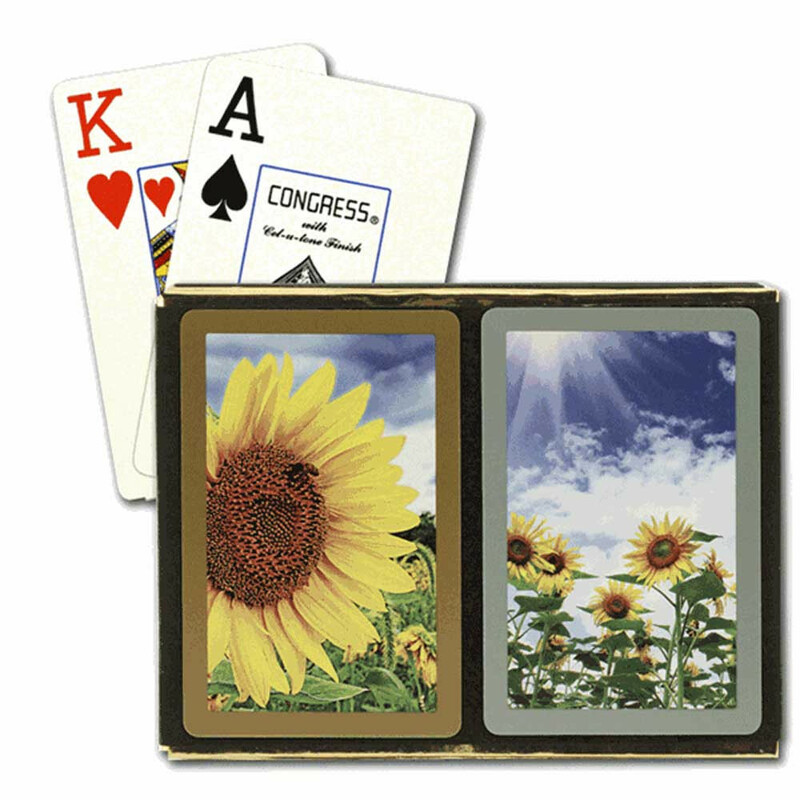 Brighten your bridge game with a taste of Summer with this incredible Sunflowers Bridge Designer Series playing card set from Congress. 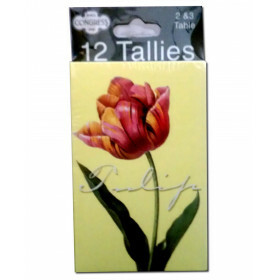 Get the snap you love with the exclusive "Cel-U-Tone" finish, which also keeps your cards neat and clean. 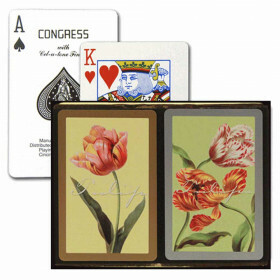 Beautiful sunflowers adorn the backs of these high quality Congress bridge cards to add a touch of color to your bridge game. 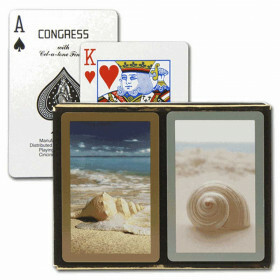 These Designer Series bridge cards not only look great, they feature Congress' exclusive "Cel-U-Tone" finish to add durability and playability so you can enjoy this set for years to come. 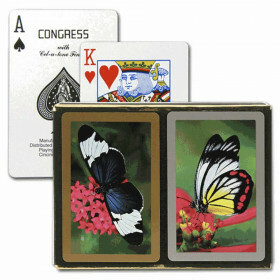 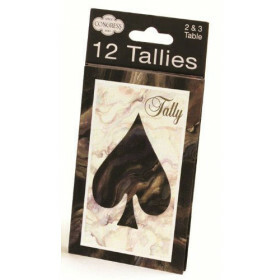 Congress has been producing the premiere bridge playing cards since 1881. 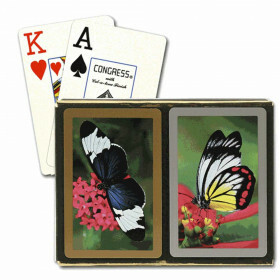 With their unique "Cel-U-Tone" finish, thee cards have the "snap" you have come to enjoy in a durable, long-lasting set of designer bridge cards.